Politics is full of emotion. That's understandable. It's always been the case. But politics is also about reaching your goals and advancing your interest. Sometimes emotion can get in the way of doing that. 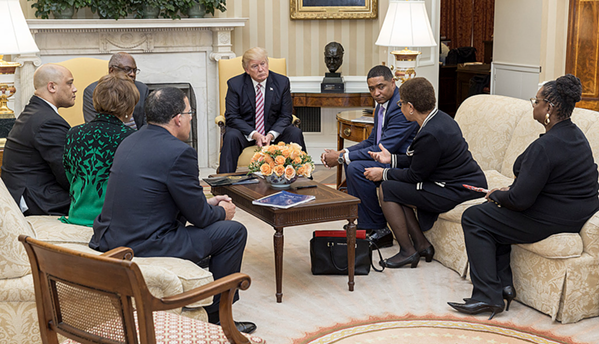 For example, the Congressional Black Caucus recently declined to have a second meeting with President Trump out of the belief that Trump was so opposed to the CBC's agenda that any meeting would merely be a photo op for Trump. If you are so inclined you can read the whole statement here. Through an objective assessment, we see no evidence that your administration acted on our calls for action, and we have in fact witnessed steps that will affirmatively hurt black communities," While we agreed to explore possible future discussions when we first met, it has become abundantly clear that a conversation with the entire CBC would not be entirely productive, given the actions taken by your Administration since our first meeting. While you can solicit the engagement of individual members of our caucus, the CBC as a caucus declines your invitation to meet at this time. As you are well aware, when the leadership of the CBC met with you on March 22, 2017, we presented you with a 130-page policy document because we recognized the opportunity to educate both you and your Administration on the difficult history of Black people in this country, the history of the CBC, and solutions to advance Black families in the 21st Century. Your Administration has yet to provide a response to the policies we presented. Additionally, your Administration has not followed through on a pledge you made to us to facilitate meetings with relevant Cabinet officials. Moreover, your Administration has taken actions that cause legitimate alarm among members of this caucus and the millions of Americans we represent. In a two-page document, your Attorney General issued guidance to federal prosecutors to accelerate the failed war on drugs that will continue to wreck the Black community and exacerbate our nation's shameful scourge of mass incarceration. Attorney General Sessions has also explicitly stated his unwillingness to utilize consent decrees to protect the civil rights of Americans and has called for an agency-wide review of these agreements. These shortsighted decisions represent willful ignorance by relying on ideology instead of data and compassion. Every dollar we spend on incarceration renders our communities less safe. I think the CBC is making a mistake. Meeting with someone doesn't imply endorsement. And the CBC can't possibly be surprised or offended that a Republican President who received a small percentage of the black vote isn't going to immediately implement the CBC's preferred policies. Here's where I point out that this is not meant as any sort of defense of Trump. He supports policies I oppose. I don't care for him personally. I think that he's temperamentally unsuited for the job he holds. But nevertheless he is President. Life is full of situations and people that we all prefer to avoid. If you are in a toxic relationship then the best decision is to leave. If there is an author or film director or other creative who produces material that you don't like then you should stop buying that material. If you discover that a particular restaurant or culinary style doesn't agree with you then you should stop eating that food or dining at that restaurant. Obvious, right? But sometimes you must consider more than your own immediate happiness. People stay in jobs or careers that they don't like because they have bills to pay and spouses or children to support. People sometimes tolerate bad behavior by co-workers or supervisors early in their career in the hope that they can tough it out and attain higher income and greater power in the future. 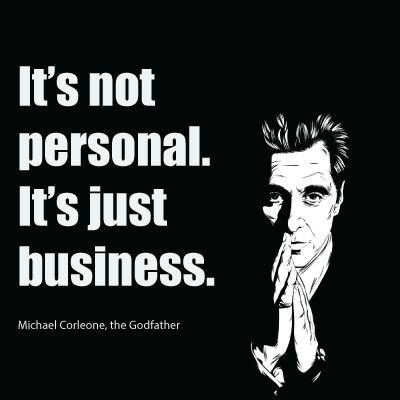 People work with and do business with people that they despise because they're able to make a separation between their personal feelings about someone and the demands of business. That last point is important. This is about business.The CBC doesn't do its constituents any favors by refusing to meet with the President. Sure it may resonate with people emotionally to say "F*** you!" to Donald Trump. 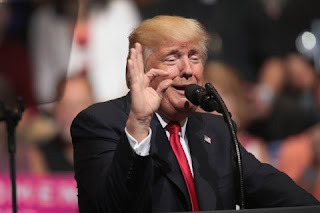 But unless he gets bored and resigns, dies from obesity related illnesses, or does something so outrageous that Republicans start talking impeachment, Donald Trump is going to be President of the United States for the next four years. That's the first thing to consider. The second thing to consider is that some other interest groups, some of whom claim to be just as opposed to Trump as the CBC, haven't refused meetings with Trump or his associates. And they have even gotten some of their agenda items pushed forward. Trump entered office talking about eliminating H1-B visas, shutting down refugee programs and ending DACA. He has apparently changed his mind. Perhaps meetings with Hispanic Republicans and finance and tech company CEO's/big shots had something to do with that. So what do you look like refusing to meet with someone and thus throwing away any chance at influence when other people aren't following your lead? In politics it's almost irrelevant as to whether you like the man in the Big Seat or not. You still have to deal with him. Holding your breath for four years and pretending that Trump isn't President is pointless. Left to his own devices, Trump will be on balance bad for many black interests. We know this. The current choice is either to attempt to work with someone you don't like or to sit in the corner and pout. Merely interacting with someone doesn't mean that you support them, doesn't mean that you're a sellout, doesn't mean that you're a Tom, doesn't mean any of that. It means that you're doing business when you can and opposing him when you must. Trump is not the first President that Black America didn't support and he won't be the last. If people can meet with Presidents like LBJ, Nixon, Reagan, Truman, Eisenhower and others, all of whom showed disdain for black people and/or black interests at some point in their life, then they can certainly meet with Trump. Netanyahu was pretty upfront about his dislike of President Obama. But he still met with him. President Obama had a famously tense relationship with the CBC. Sometimes President Obama seemed to be more interested in lecturing the CBC than in anything else. But nevertheless the CBC still met with Obama and his aides, even those they hated, like Rahm Emmanuel. Lastly there are or rather should be other interests that the CBC has besides the proposed reduction of welfare programs. What about reworking the SBA so that black businesses are not at the back of the bus? What about getting black contractors more federal work? What about working to reduce the levels of black unemployment? Those things are at least as important as fighting reductions in assistance to the poor. No one can see the future. It may well be that tomorrow Trump gets up and tweets out "This is a white man's country. Blacks should be exiled or exterminated. We will have great plan to do that. Believe me." But until that point, I think that the CBC owes it to their constituents the chance to bring their criticisms and requirements to Trump, directly, just like every other interest group in the country.